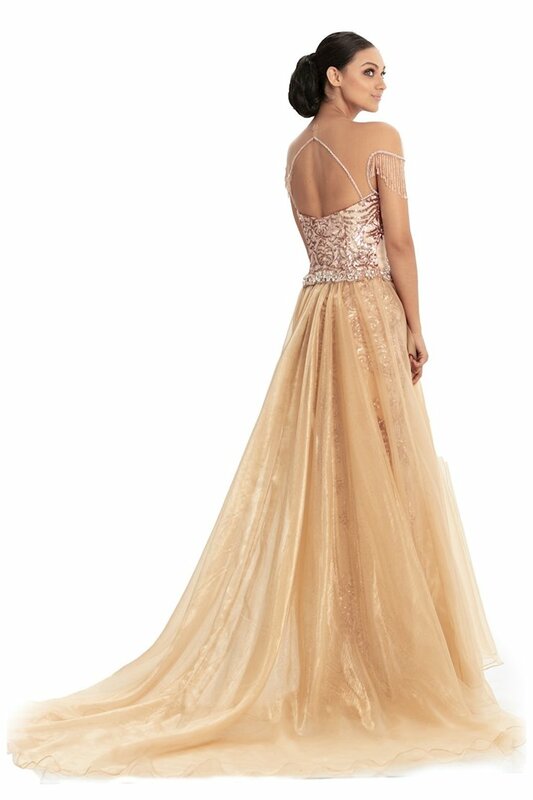 Be the center of attention at Prom 2019 in this stunning Johnathan Kayne style 9112. 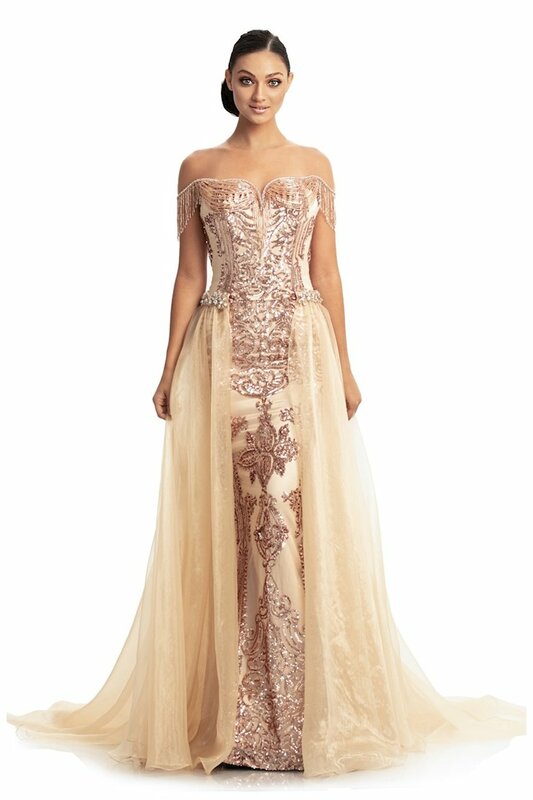 This lovely off the shoulder ball gown is sure to impress with its unique sequin printed mesh design and lightly flowing organza over train. Johnathan Kayne Style 9112 is available in Rose Gold only.